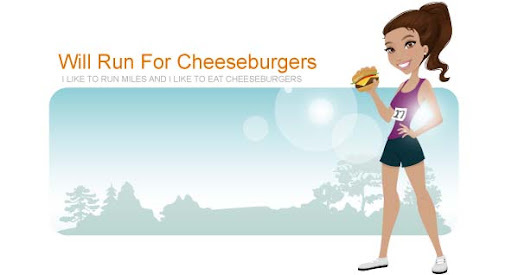 Will Run for Cheeseburgers: Two Burgers in Two Days .... all the way in Rhode Island! Two Burgers in Two Days .... all the way in Rhode Island! A couple of weeks ago I got to travel to Newport, Rhode Island to help celebrate my friend Shannon's bachelorette weekend. A bunch of us flew in from Charlotte and met up with some of her friends and family from up north. Even with staying up late and having a few cocktails Friday night, I managed to get in a run Saturday morning. I ran from our hotel to the "Cliff Walk," a 7 mile out and back trail near Newport. For someone as clumsy as I am, I was pretty scared going over the rocky parts of the trail. But the views made up for it! It was a little cloudy and much cooler than it had been in Charlotte, and oh so quiet. I ran and walked just under 5 miles and headed back to the hotel, coffee in hand, ready to party! One of the fun activities that Shannon's sister planned for the group, was a trip to a local vineyard (Newport Vineyard), complete with a chauffeured party bus ... no drinking and driving for us! After touring the winery and sampling our fair share of delicious wines, we headed to their in-house café for lunch. I settled on their beet & bean burger and chips. It was tasty and definitely made me feel like I was eating healthy! The next day found us on the water aboard a mimosa cruise. Although I was too hungover to partake in any drinking, I did work up an appetite while sailing, and devoured a burger at our lunch spot. Not only did the Midtown Oyster House have a delicious burger, they also had a killer bloody mary that worked wonders for my hangover.